Frances Harman has spent a lifetime living out of suitcases, a staunch supporter of her Papa as he builds an empire as a hotelier. A quiet soul, happiest when out of sight, left alone to pursue her own interests and happiness, she has never felt the lack of companions or excitement in her life. 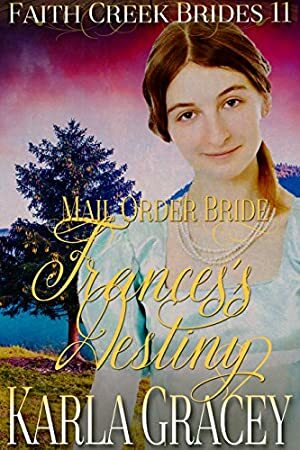 Yet, since his remarriage, she has been forced into a new world, one of parties and balls, afternoon promenades and has found herself overshadowed by her beautiful stepsister Maria in every way. But in a moment of uncharacteristic bravado she responds to a matrimonial advertisement in the newspaper, the life of a debutante is not for her, but why should she not search out a life that might suit her better? Dr Marlon Carter has not been in Faith Creek long, and for a time rather thought himself in love with his partner's delightful bride, Susanna. But, his desire for his own wife and family has begun to play upon his mind. A town doctor should have a wife after all. But can he reconcile the actions and troubles of his past and allow himself to enjoy the love and affection that could be his for the taking? We started tracking this book on May 13, 2017.